Based on The Constable novels by Nicholas Rhea, Heartbeat ran for 18 years from 1992 to 2010. With audiences regularly exceedingly 10 million viewers the show was constantly in the top five TV programmes. I was one of those millions who tuned in each week and hearing the famous Heartbeat theme instantly brought back memories of sitting in the living room on a Sunday evening with my family, watching the latest goings on in 1960’s Aidensfield. Like the Simpsons, time never seemed to pass in Heartbeat land, skirts were always short, colourful characters supped pints in the Aidensfield Arms and poachers still roamed the local estate. There was always a crime for the local police to solve and the newcomer to the village was generally involved. 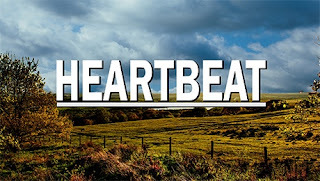 Heartbeat was successful because of the combination of 60’s nostalgia, beautiful scenery, and stereotypical characters that added humour to the storylines. This production follows the same format and is instantly recognisable to fans of the show. The curtain opens to a rural scene complete with dry stone walls and with a rotating set, life in Aidensfield quite literally revolves around the pub. Video projection was used throughout the show however with the exception of the arrival of the train I felt it added very little to the story especially as much of it was obscured by the otherwise brilliant set. Much more effective were the sound effects and music that were used to add atmosphere to the story. Costumes were spot on and Geoff’s disco gear had to be seen to be believed! Original cast members David Lonsdale and Steven Blakeley take on their original roles of David Stockwell and PC Geoff Younger and are joined on stage by a new cast including Carly Cook playing Liverpudlian barmaid Gina and Hollyoaks star Matt Milburn as village bobby PC Joe Malton. Whilst the first half was a bit slow to get going with the story focusing on a new jukebox for the pub and a mystery Irishman, a cliffhanger before the interval changed the tone for the second half and the plot began to unfold. Who was the mysterious Irish guest and what was he hiding? Meanwhile David and Geoff’s antics produced plenty of laughs as did David’s pet dog, Deefer who raised the biggest laugh of the night when working in the graveyard. We really enjoyed our trip back in time and for fans of Heartbeat it really is worth a visit. We drove to the Opera House, which is easy to find on the western edge of Manchester city centre. Like many others we parked at the nearby modern Spinningfields multi-story carpark which costs £7 if you arrive after 6pm. Heartbeart is at the Opera House in Manchester until 30 April 2016. For more information call the box office on 0844 871 3018. Tickets cost from £16.90 to £41.40 (plus £4 transaction fee).